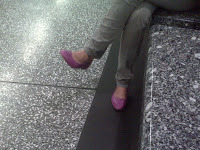 I had noticed these pretty fuschia flats from afar on more than one occasion in my subway stop. Unfortunately, the timing of the train kept me from getting to know them better until last week. In my belated one-to-one encounter, I learned that these are not just your basic flat. 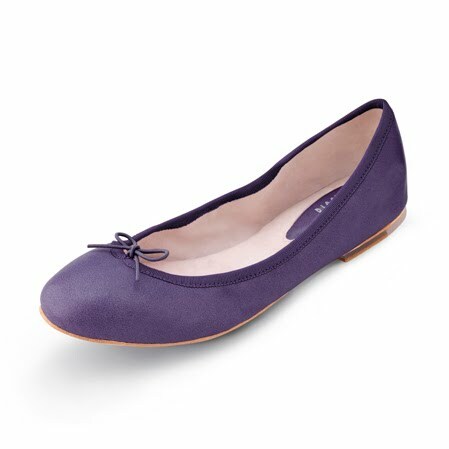 Bloch makes these, the company that makes all of the classic ballerina shoes. I remember being lost in a literal gaze as the gal explained this to me and whispered, “genius” to her. 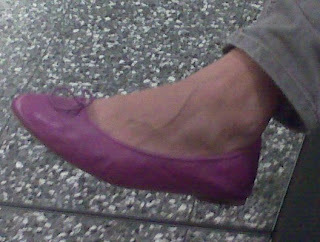 The genius is because you have a company that has perfected ballerina shoes making walking flats. Talk about maximizing all the technology for maximum comfort! Bloch has been making ballerina shoes for ages and clearly know their craft. She said that they are hard to find around town but was lucky to spot them in a local shop in Los Feliz here in Los Angeles. In researching more stores online, I’ve found them available at Prima Ballerinas. The downside is that they have only one store in the US, in New York. They also have one in London. The upside is that they can ship from the New York store to your neck of the woods. Pretty Ballerinas also sells those great foldable flats in a pouch and vacuum-sealed flats for those days that you can’t take another step in heels. They’re perfect to store in your tote, car’s glove compartment or your desk drawer at work.